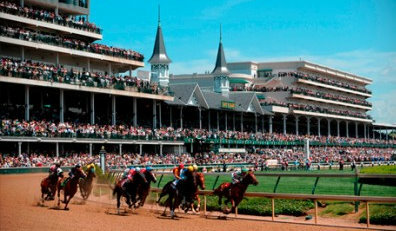 The Kentucky Derby 2010 will once again bring you exciting horseracing – the grand daddy of them all – as it celebrate its 136th year on May 1, 2010. The Kentucky Derby will be broadcast live on NBC television network on May 1st. The Kentucky Derby will officially begin at 5:00 pm EST. Prior to that date is another exciting event to happen and that is the Kentucky Oaks Day which will tak place on April 30, 2010. Let’s take a look at the 2010 Kentucky Derby contenders below. The field will be composed of 3 year-old thoroughbred horses that will race Churchill Downs for the most prestigious horse racing titles in the world!